He shrugged his shoulders and said, “I dunno, boots are boots.” He then proceed to put on a dirty, white baseball cap. We got to the party and no one made a what-was-he-thinking face when they saw Shawn wearing a baseball cap. I’d like to think they were too busy admiring my cute new boots, but I really think it was because everyone was too busy devouring these herb and cheese puff pastry sticks I brought as an appetizer. 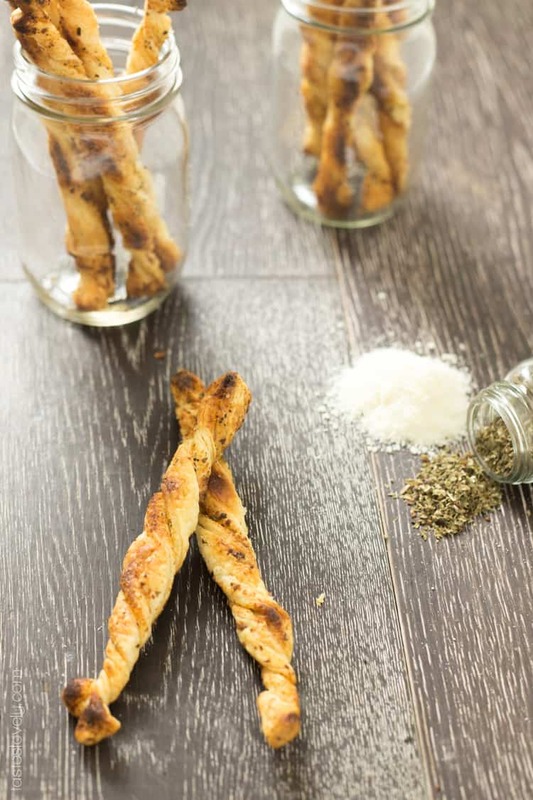 If you’re looking for an easy and crowd pleasing appetizer, these herb and cheese puff pastry sticks are your new best friend. They are easy to make (only 4 ingredients! ), they look beautiful and dramatic when you set them out at the table in a cute mason jar or vase (hello appetizer that gives height! ), and you can make them a day in advance so you aren’t rushing around at the last minute before guests arrive. They taste amazing too. Buttery and crispy, with lots of cheese and herb flavor. Like a super fancy herbed, flaky cracker. Everyone loves them, and they’re always the first to go at parties. They pair wonderfully with wine too. Win win! Preheat your oven to 400 degrees with the oven rack in the upper thirds. Line a rimmed baking sheet with parchment paper for easy clean up (optional). Lay all twists in an even layer on the baking sheet. Bake for about 15 minutes, then flip the sticks bake for another 5 minutes, or until they are golden brown. Allow to cool for at least 5 minutes before serving. Will keep in an airtight container for 3 days. Haha. Men and fashion, I tell ya….You guys are too funny. 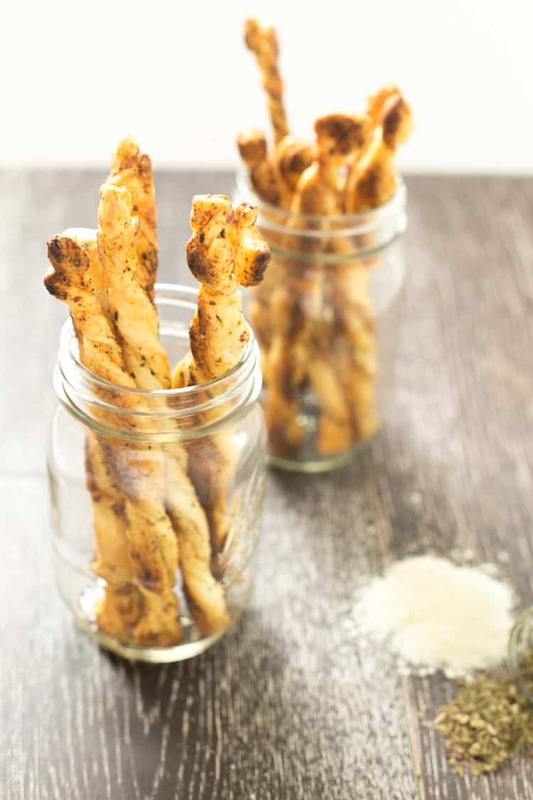 :) And omg I looooove puff pastry sticks and I am swooning over how crispy and cheesy these little guys look! And yes, tall appetizers for the WIN. Ha ha men don’t have any fashion sense at all! These puff pastry sticks look like the perfect snack, Natalie! I love how easy they are to whip up, too.! Well if they pair well with wine than I’m in! These look really tasty and so easy. Repin for the holidays! I am all over this recipe! Just last night my friend and I were talking about what we wanted to make this weekend and puff pastry came up. I think it’s a sign we have to make these! Hahaha you two are the cutest! And so are these puff pastry sticks! Buttery, crispy and with loads of cheese and herbs? I don’t think I would be able to stop snacking on them – they look fabulous! Oh boys. Jon never notices my new clothes either. And when I tell him he can wear whatever he wants to the dinner party, he takes it literally and puts his grungy shirt on. I usually give him that look and he puts on a sweater :) These look so easy and pretty! What a great idea for an app for a party. Haha! I think I have this same conversation with Zach every time we are about to leave the house. He needs a serious wardrobe change! I love these little sticks though! So cheesy! Pinned! 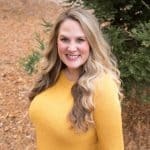 I buzzed my husbands head once, which is pretty darn hard to screw up but I did a HORRIBLE job! I mean it was awful. He wore a hat everywhere for two weeks! Even church! ha! These look like the perfect little appetizers! These look so pretty, I love them! I’ve never made breadsticks out of puff pastry, that’s a great idea! They look delicious! Girl, what a fab appetizer!! I’d definitely be guilty of filling up on these before the main course is served. I love everything made out of puff pastry! These look so good and really make me want to throw a party now just so I can make them and not fear eating them all myself! What is it with guys and not paying attention to our awesome fashion?! I can never ask Kurt anything about shoes because they all look the same to him. :) And these sticks would also fabulous for Briana’s school lunch box as well. I can make a whole bunch on Sunday and snack problem solved for the week. Have a great weekend friend. Ahhh… you’re speaking my language today, Natalie. I just love recipes this simple. And impressive, of course. I’m taking these next time I go to a party! Men! :) And I bet your boots are fabulous! I’m a big fan of puff pastry and an even bigger fan of 4-ingredient recipes. These would be perfect as an app or alongside soup. LOL….. BOYS!!!! That sounds like a familiar story! Men just do not understand fashion, haha!! These puff pastry sticks look awesome – I can see why they were the hit of the party. Yum! These look amazing. I love your video to accompany the recipe so a great idea. Can’t wait to try! These would taste so awesome with my chai! Nom nom! 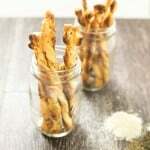 I LOVE those appetizer sticks, never thought of making them myself! What a great idea Natalie! Bahaha – I never let the baseball cap leave the house (my husband’s is SO DIRTY). 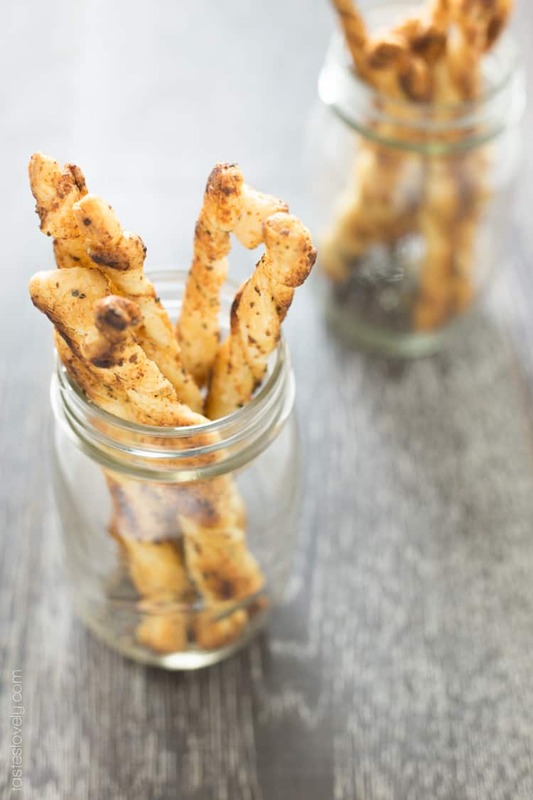 These puff pastry sticks sound like such a great crowd pleaser! I have made these before and today I am taking them to a Super Bowl party for an appetizer! Thank you!